In a hyper connected social world that sees no distinction between work and social life, we live, breathe and survive on Facebook. 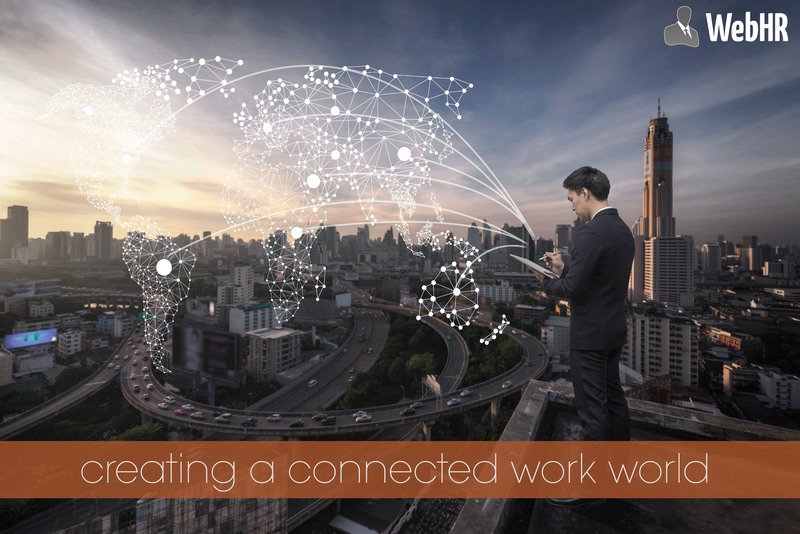 The professional networks on LinkedIn create new opportunities and business ventures, socially connecting the different businesses and expanding our horizons. These days, there are hundreds of thousands of tools that let you stay connected and updated at all times. Be it twitter, SnapChat, Facebook or WhatsApp, they all create this essential set of connectivity. WebHR is all combined in one, status updates, photos and videos shared like Facebook. The video calls & conferences, video interviews with candidates. The companies can share news, update news feeds and news letters. WebHR shares and helps create company events, that go to everyone involved as notifications or show up on the dashboards as part of the news feed. WebHR engages the employees by providing badges for employee engagement and encouragement. Live conference rooms, for different tiers and departments within a company to stay in touch and converse in real time. It’s tools are a great way of providing value to the clients, a way of adding more perks and cutting costs, to give them a taste of the future. It is the only HR software that has a conversational Web App, has integrated with Amazon’s Alexa and Microsoft’s Invoke to provide a futuristic HR assistant, that helps you gather intelligent data within a flicker of a second. WebHR has means of constantly measuring the usage of clients and then upping its game, to keep giving them something new to try, test and add it as a feature. The fast paced innovation has enabled us to add a VR experience to everything like, meetings, conferences and candidate interviews. This is still in the testing mode but the team is very excited and is testing all possibilities of making it flawless. Every detail is measured in terms of usage and user experience and then launched for all the users. The sidebars on WebHR’s dashboard show valuable everyday details that all HR managers would promptly want to get in touch with, like all important days, leaves, birthdays etc. The news feed becomes daily stories to keep employees updated about all important things they should know about. 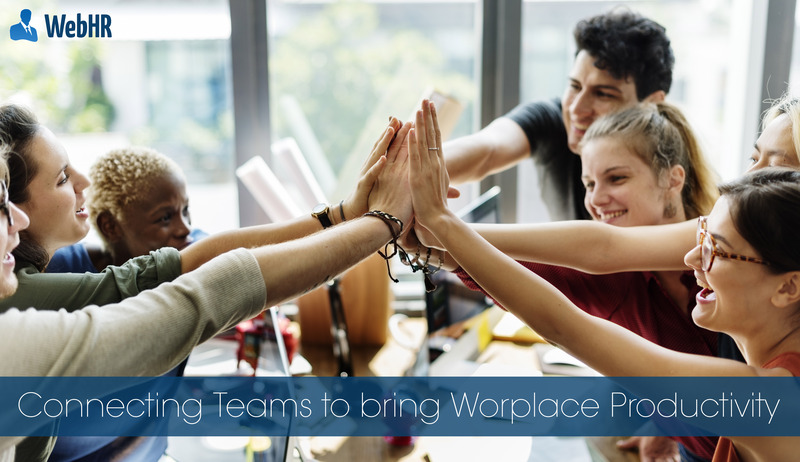 The project management gets everyone involved, on the same page and makes it easier for employees to set assignments and monitor how tasks are accomplished. The teams can chat in real time or send messages, there are hundreds of tools companies use separately to make these things possible, while WebHR brings all under one platform. Every feature introduced and created is aimed towards usage and user friendliness, this is the reason the feedback we get is that WebHR is helping companies with higher engagement amongst teams at work. We constantly roll out something new, to make office and work lives easier, our teams are ahead of the curve when it comes to innovating and implementing something exciting. The only way WebHR tops its competitor is true, responsive customer service, no call has gone unanswered since the conception of the company, having teams that work round the clock, since our customers are spread round the world and are now expanded over 196 countries. Our teams engage with its customers over calls, live chat, Facebook messenger, emails, phone calls, Skype, contact us form, twitter, LinkedIn etc. There is no way a customer could have a problem reaching out to us. The team at WebHR is always on a research and build mode, we listen to the pains of the customers attentively, talk to them and take their concerns into consideration, engage with them and develop features that makes things easier for them. The only way any company can increase usage is to keep offering things that remove glitches from everyday work life cycles. Every integration made through our platform is always something requested by our customers, not just power users but also startups because that is where the true talent lies. We keenly observe the trends and usage of apps at all times and then integrate them with ours and that makes it easier for the users to get data all under one platform.